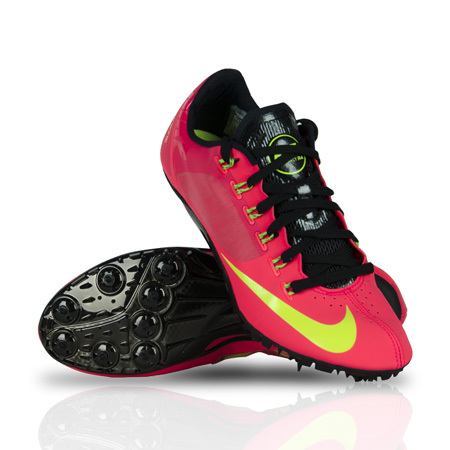 The Nike Zoom Superfly R4 was designed to put every ounce of your energy and hard work back into the track. An aggressive spike plate creates an ultimate power sprint spike for the 100 to 200 meter sprinter. 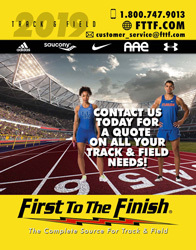 Combine that with a new Flywire upper that securely locks the foot down, making it a great choice for the sprinter interested in the short hurdles. Includes sixteen 8mm compression tiered spikes and a spike wrench. Sizing is based on the men's scale. Women should subtract 1.5 sizes from their women's shoe size. Example: Women's 8 equals size 6.5 for this shoe.